Assassin's Creed is an action-adventure video game series created by Ubisoft that consists of nine main games and a number of supporting materials. The games have appeared on multiple gaming platforms. The games are set in a fictional history of real world events and follows the centuries-old struggle between the Assassins, who fight for peace with free will, and theTemplars, who desire peace through control. The main games in the franchise were developed by Ubisoft Montreal for the single player and Ubisoft Annecy for the multiplayer, with the handheld titles developed by Gameloft and Gryptonite Studios, with additional development by Ubisoft Montreal. The series has been well received by the public and critics, and has sold over 73 million copies as of April 2014, becoming Ubisoft's best selling franchise. The series took inspiration from the novel Alamut by the Slovenian writer Vladimir Bartol, while building upon concepts from the Prince of Persia series. 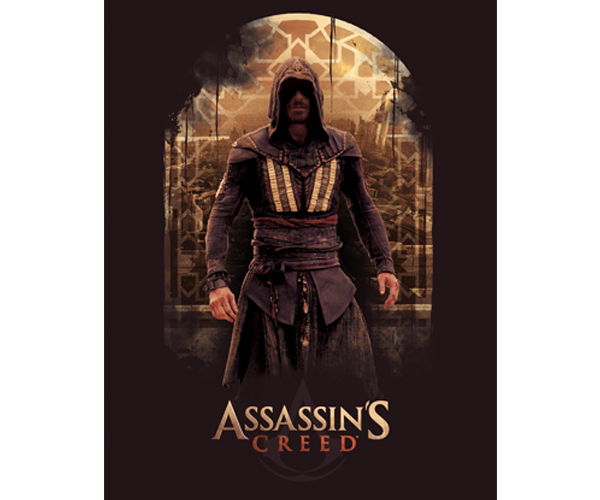 The first game was released in 2007, and now with the upcoming release of the film set for late 2016, Lady Sandra has teamed up with Ubisoft to produce a wide variety of Assassin's Creed Throws and Cushions.